What more could possibly be said about the Beatles? And for that matter, the Velvet Underground? The Beatles are like the “learner’s manual” of rock n’ roll—they covered every discernible style, and did it all first. 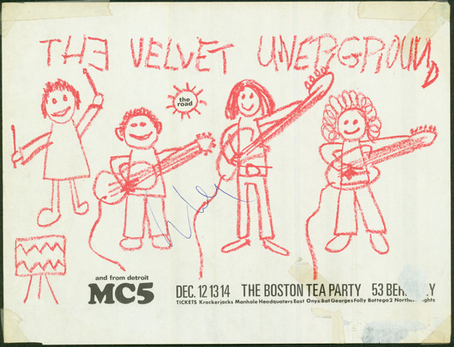 The Velvets, on the other hand, represent the dark underbelly of rock, from whence emerged a Cause and a Way of Life. It’s just proof of something that’s been said a million times about the VU: their influence didn’t really take hold until years later. So even though they were contemporaries of the Beatles, what they were doing was so far ahead of its time that the influence of it wouldn’t be felt or years, or even decades. So while the Beatles were totally of the ‘60s, the Velvets transcended it, making them the “better” group, right? But maybe that’s because the influence of the Beatles is so profound and well-engrained that it doesn’t even need to be clarified—which is what I’ve been forced to reconsider, having read Ian McDonald’s epic Revolution in the Head, and hence actually listened to the Beatles, album-by-album, for the first time in decades. This aural re-evaluation ultimately led me to “lend my ears” to that most sacred of sacred cows, Sgt. Pepper’s Lonely Hearts Club Band, which has suffered so much overkill that genuine proponents like Rolling Stone, in their ultimate anti-hip measure, only rated it FOUR stars in the first edition of The Rolling Stone Record Guide, published in 1978. The point being, what was once considered “the greatest rock n’ roll album” of all time, in just a decade had come to be seen as sadly dated, a curio of a bygone era, and somehow quaint in its timeliness. At the same time, to demonstrate how much the critical consensus had changed since the ‘60s, in the same volume, The Velvet Underground & Nico pulled five stars. With the rise of punk—viewed by critics as the Velvets’ progeny—esteem for the VU had only risen and they were seen as innovators, whereas the Beatles, as adventurous as their mid-sixties music had been, now had their lot lumped with the bastions of “classic rock,” beloved by FM rock listeners, but considered passe by hipsters. In the ‘80s, as the post-modern mentality crept in, the Beatles, given their universal mainstream appeal, were short-changed in favor of not only the Beach Boys but far lesser groups like Big Star. But these things are cyclical—first Yoko Ono was acknowledged as kind of a godmother figure to both new wave and Riot Grrl, and then it was the Scorsese documentary about George Harrison, but eventually the Beatles came back into favor…but they’ve been “going in and out of style,” as they themselves said on Sgt. Pepper, for so long that, at this point, all such arguments are moot, because as the years go by the whole ERA gets more compressed—hence the Beatles have much more in common, in the long run, with, say, the Ramones or even Metallica than any of them have with Taylor Swift. At a certain point there came a time, especially as a barometer of the Zeitgeist, when music just didn’t matter anymore. But it can be argued that the Beatles—along with Dylan, the Stones and all the rest—ultimately represent the moment when music did begin to matter, and that’s why, ultimately, the Beatles and Velvet Underground have a lot more in common than critics and fans may have surmised back in rock’s golden age. Make no mistake, the Beatles were not a boy-band, or a pop artifice—they had some of that in their music, but by the time they recorded, in 1962 (not counting a few odd recordings a year or so before as a backing band), they were a seasoned performing unit in a way that few groups who followed them could match, simply because the Beatles opened the floodgates for those groups. The Beatles not only had to prove themselves, they had to prove the worth and merits of the whole style of music—rock n’ roll—because their embrace of such was simply unprecedented. Therefore, by the time the other great groups of the ‘60s emerged—the Kinks, the Rolling Stones, the Grateful Dead, the Velvets, the Byrds, the Doors, the Airplane, the Who, Zappa, etc.—they didn’t need to toil away playing the dingy bars of Hamburg (or its equivalents) for more than six months whereas the Beatles had been doing it for six years. Sure, there are arguments that those bands, given their relative youth and inexperience, caught up—and even surpassed—the Beatles in record time. That included the Velvets—but don’t think they weren’t hip to the Beatles: Lou Reed played a hollow-bodied Gretsch guitar like George Harrison and on the flexi disc that came with Index magazine in 1967, which featured a conversation recorded at Andy Warhol’s Factory just after the Velvets’ first album came out—and, consequently, Sgt. Pepper as well—one hears Nico mimicking “Good Morning, Good Morning”…not sarcastically either, but just because that’s what everybody was doing in the Summer of ’67, because the album was ever-present. In other words, even though the Velvets, who could loosely be considered “rivals” with the Beatles, had just put out their own LP, they couldn’t get out from under the shadows of Sgt. Pepper. After all, it was Number One for fifteen weeks—virtually the entire summer of ’67—and, other than Michael Jackson’s Thriller, how many other albums can you say that about? Even as late as 1970, the Velvets’ Sterling Morrison gave an interview to Fusion magazine where he actually venerated Sgt. 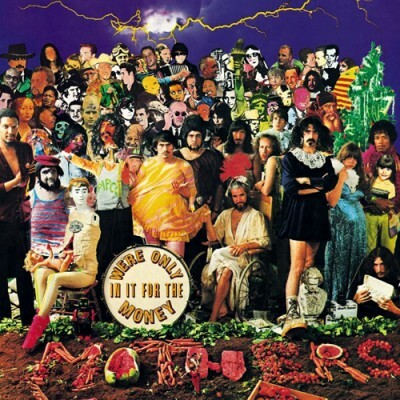 Pepper in favor of Frank Zappa’s parody of it, We’re Only In It for the Money: “Let me see him come out with something as good as Sgt. Pepper. What Zappa saw in Sgt. Pepper was something good which showed real perception and talent, and lacking these attributes himself, he decided to do something else, and make fun of it. Is there anything on We’re Only in It for the Money that even remotely compares to the original?” Given this evidence, it’s clear that it wasn’t the Beatles whom the Velvets considered rivals, but the California groups like the Mothers and Grateful Dead. I’m more of a “Weasels Ripped My Flesh” guy, anyway. In fact, as rock rolls on, it becomes clearer that perhaps the two most enduring bands of the entire rock n’ roll era are the Beatles and the Velvets. Don’t believe me? Just ask Robert Christgau, who proclaimed the VU “the number three band of the sixties” after, of course, the Beatles and James Brown & His Famous Flames. Now JB is sacrosanct, irrefutable…where would Gospel, Soul, Funk, Disco, Hip Hop and Rap be without the Godfather of Soul? But it’s not rock, it’s R&B, and therefore in a separate category. The Velvets, on the other hand, format-wise, are the same as the Beatles—guitar/bass/drums—but both groups dabbled with non-rock motifs: the Beatles with symphony orchestras and the Velvets with electric viola. And both had high-art aspirations, not the least of which was they employed actual artists to design their album covers, instead of leaving it to the record company. 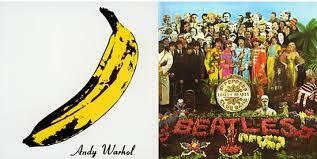 Therefore you could have the infamous Andy Warhol banana on the cover of The Velvet Underground & Nico, and Klaus Voorman’s black-and-white collage adorning the Beatles’ Revolver, the album that predated Sgt. Pepper. 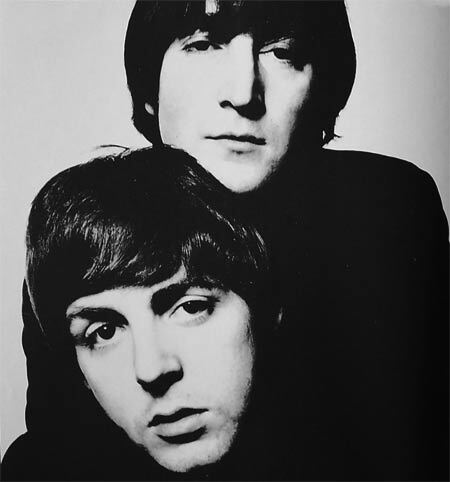 By the time of Pepper, standards were being raised even higher by Michael Cooper’s elaborate cover design, and the fact the Beatles actually printed the lyrics on the back to assert that Lennon and McCartney warranted serious consideration as “composers.” And although almost no-one knew it at the time, and the Velvets didn’t print the lyrics on their album, a future generation of critics would assert much the same thing about Lou Reed. Add to that the fact that both Sgt. Pepper and the Velvets’ first album were among the first rock LPs to be issued with a gatefold, extremely rare for rock albums at the time—the thought being the Powers That Be at the record companies didn’t want to waste the cardboard on mindless fodder. But the Beatles being the Beatles, and the Velvets with the Warhol connection, obviously warranted a higher standard from their respective labels (only Frank Zappa, who recorded for the same label as the Velvets—Verve, who’d previously specialized in jazz—was accorded the same dignity). There were precedents for this kind of maturation in rock—not only Zappa but the Beach Boys of Pet Sounds (both cited by the Beatles as influences on Sgt. Pepper). But compared to the breakthroughs established by both the Beatles and Velvet Underground in 1967—even though they were worlds apart—such early innovators can be seen as merely stepping stones. And the Stones, although their early R&B-based work and even proto-psychedelic stuff can be seen as superb, didn’t really surpass the Beatles until the great string of albums beginning with Beggar’s Banquet and culminating with Exile on Main Street—by which time both the Beatles and Velvet Underground were no more. Released within three months of one another in 1967, Sgt. Pepper’s and the Banana album represented the two social and sonic spheres of the sixties—the Beatles were light, optimistic, effervescent; the Velvets were dark, foreboding, luminescent. It’s hard to say which one had the most influence, but it’s obvious the Beatles’ influence was more immediate and the Velvets’ was more latent. What’s obvious, though, is that, taken together, they are the two most influential groups of their time—and hence any time, because, despite punk, it’s doubtful, at this point, in terms of rock music, the ‘60s is ever going to be surpassed. 1967 was the apex of that renaissance. Surely there will never be another year in which the possibilities of rock music seemed so limitless, before it became clouded by irony and pretention. Both the Velvets and the Beatles epitomized rock’s giant breakthrough as an art-form, and Sgt. Pepper and The Velvet Underground & Nico were both high water marks of the revolution—but whereas the Beatles used a more ornate style to reflect rock’s increasing maturity, the Velvets, in stark contrast, produced an almost primitive sound. Despite the stylistic differences, however, both groups shared similar concerns (which admittedly were in the air at the time). Themes of alienation, for instance, are reflected in both Pepper’s “She’s Leaving Home” and the Banana Album’s “All Tomorrow Parties.” Both albums are heavily drug-influenced, and while something like John Lennon’s “Lucy in the Sky with Diamonds” is nowhere near as blatant as Lou Reed’s “Heroin” and “I’m Waiting for the Man,” it probably turned more people onto acid than any similar song of the era (and John would have his own junk-song a couple years later in the form of “Cold Turkey’). That’s one of the things McDonald makes clear in his book—the Beatles greatest importance was as the Uber-messengers of not just rock, and psychedelia, but the avant-garde. And the Velvets of course benefited from this, being an “art band” and all. Thanks, George, we’ll take it from here. Noise was another integral element of the new, freer music, in both jazz and rock, and perhaps the first aspect of the Velvets to be fully grasped by future generations was this atonal quality. The Velvets were the first band, save perhaps the Who, to embrace the concept, even calling an early track “Noise.” And while the Beatles are more universally remembered for their melodic qualities, by 1968, when the whole world seemed to be in a state of chaotic dissonance, even the Beatles were pushing the sonic envelope with what could loosely be called “noise experiments”—including of course the infamous “Revolution 9” on the White Album, 8 minutes of audio mélange that, as McDonald acknowledged, became the most widely-disseminated “avant garde” document, in any art form, ever. As so often happened with the Beatles, they may not have come up with the idea, but their enormous popularity guaranteed that such concepts—ones first promulgated by the actual bastions of the avant-garde like Warhol and John Cage (and, for that matter, Yoko Ono)—would reach a much wider audience. Speaking of noise, certainly John Lennon’s embrace of atonality in the later stages of the Beatles—from audio pastiches like “Revolution 9” and Two Virgins to the raunchy and dissonant guitar playing on tracks like “Cambridge 1969” on Life with the Lions and the live version of “Don’t Worry Kyoko” on Live Peace in Toronto—owe a lot more to the Velvets’ type of pure-noise exorcisms than the more sculpted textures of the Who and Jimi Hendrix. While everyone was aware of the Beatles, there’s a good chance the Beatles were aware of the Velvet Underground as well. Mick and Keith already copped to the influence of the VU on “Stray Cat Blues,” and it’s a known fact that, in those days, Paul McCartney was an avid champion of the underground (sometimes even in the philanthropic sense, such as his support for the International Times or the Monterey Pop Festival). In the spring of ’67, when Andy Warhol was trying to bring Chelsea Girls to Europe, he and his entourage actually visited Paul McCartney at his home in London right around the time of Sgt. Pepper. There’s a video on YouTube, dating from ’67 or so, where Paul Morrissey, Warhol’s director, talks about how, at the time, Paul McCartney, like just about everyone else in those days, was experimenting with underground movies (which Morrissey refers to as “psychedelic”). There’s even the possibility that, right before he died, Brian Epstein, the Beatles’ manager, was thinking about managing the Velvets! Says “factory interview” but took place in England–Ed. And not everybody at the time favored the Beatles either—critic Richard Goldstein, who’s somewhat praise-worthy article in the Village Voice about the Velvets actually made the press blurbs reprinted on the sleeve of the banana album, famously panned Sgt. Pepper when it was released (making him, admittedly, the lone dissenter at the time). 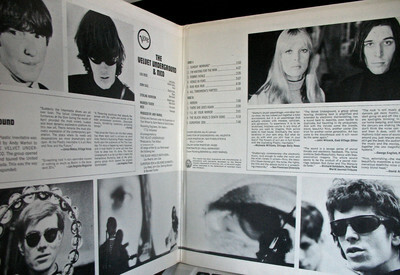 It’s clear that, in 1967, both Pepper and the VU & Nico were pointing the way towards the future; but there was no shortage of groundbreaking albums released that year, from the first albums by Cream, Pink Floyd, the Bee Gees, the Jimi Hendrix Experience, Traffic and the Doors to the Mothers’ Absolutely Free, Love’s Forever Changes, the Beach Boys’ Smiley Smile, After Bathing at Baxter’s by the Jefferson Airplane, the debuts of Moby Grape and the Grateful Dead, the 13th Floor Elevators’ Easter Everywhere, the Incredible String Band’s Hangman’s Beautiful Daughter, the Who Sell Out, There Are But Four Small Faces, Younger than Yesterday by the Byrds, Captain Beefheart’s Safe as Milk and Nico’s own Chelsea Girls to name but a few. Changes were in the air—yes, of the “forever” variety—and while it’s tough to say whether ’67 was the “best” year that rock will ever know, it’s clear that it was the turning point. And if this is true, two albums clearly stand out as definitive: Sgt. Pepper and the Velvets’ first. Despite other similarities between the two groups—such as the fact they were both managed by prominent older gay men and they both sacked their original drummers—the worlds of the Velvet Underground and the Beatles were still universes apart in 1967. And although, in post-modern terms, there’s a tendency to view the Velvets’ album as having even greater impact than Sgt. Pepper, in critics’ polls conducted over the years, both albums are almost always in the Top 20. For example, in the VH1 poll conducted in 2001, Pepper comes in at Number Nine, and the VU & Nico at Number Nineteen. In 2003, Rolling Stone placed Pepper at Number One of all time, with the Banana Album at Number Thirteen. The NME, on the other hand, in a more recent Top 500—in which the Smiths’ The Queen is Dead pulled number one—the Velvets’ debut was at Number Five and Sgt. Pepper’s was relegated to the 87th spot (although Revolver was Number Two). But that’s just another example of post-modern revisionism (which the Brits are champs at). For another more Anglo-centric view there was Paul Gambacinni’s groundbreaking 1977 Top 200 Albums, where Sgt. Pepper copped the Numero Uno spot, and the Velvets’ first album placed at Number 14. Ten years later, in the book’s revised edition, although Pepper still sat firmly at the top spot, the Velvets had risen to Number Seven. More telling is a more recent poll by Rolling Stone supposedly entailing the 100 Best Debut Albums of All Time where they proclaim the first Velvets album “the most prophetic album ever made.” Which is somewhat closer to the truth—and goes back to Ian McDonald’s original premise that the Beatles were so much a product of their time—while at the same time DEFINING it–that it became almost impossible for them to transcend it (and not be judged totally within the context of it). Sgt. Pepper was such a cataclysmic event when it was released in the Summer of Love that it honestly had nowhere to go but down in terms of esteem in the ensuing decades. The Velvets, on the other hand, were so underground in their time that it took 25 years for their full impact to be assimilated. If the Beatles were the most influential band of the ‘60s, the VU were clearly the most influential band of the ‘80s—and that influence continued to grow up until a few years ago, with the Strokes being yet another band who took their cue from the Velvets, following in the tradition of the Modern Lovers, Feelies, Dream Syndicate, Sonic Youth, Gang of Four, Jesus & Mary Chain, you name it. It really doesn’t have to be decided which one is “better” because ultimately it can’t be. But one thing remains clear—in the minds of music fans, 1967 will live forever, and Sgt. Pepper’s Lonely Hearts Club Band and The Velvet Underground & Nico are two big reasons why. This 4-minute clip is from the Beatles official YouTube channel, so the over/under as to when it will be taken down is 36 hours based on past Reel and Rock history. 1967 quite a year. Splendid post, Rick. Thanks, I will pass the praise on to Joe. The guy knows his stuff. Wow, really enjoyed reading this! I did a stint at the student radio station during college, and among the hipster rock fans the Beatles vs. Velvet Underground debate was fierce. And if you were *truly* independent-minded, then you’d play Sgt. Pepper and not care whether it was pleasant on listeners’ ears. I’ve been reading your book Sonic Cool because I bought it for $1 at the local library (they took it out of circulation due to erroneous information). I was distressed and disappointed at your dismissal of two rock groups: Jan & Dean, and The Monkees. You list Dean as a producer, when in fact Jan Berry (whose last name was mispelled by you as “Barry”) was the producer and a writer and co-writer of “Surf City” amongst many other huge hits you neglect to mention….and he taught Brian Wilson many of his music production techniques. More disconcerting is your lack of respect for what The Monkees actually achieved. 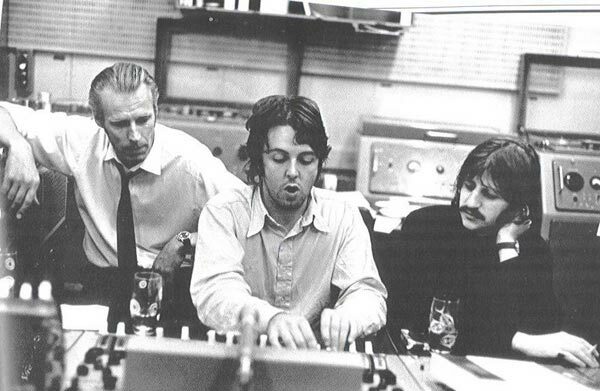 They were not “frauds,” though few rock critics understood at the time what they actually accomplished…they did write all of the songs and played all the instruments on their third album “Headquarters, ” which was number two on the charts at the same time as….Sgt Pepper! In your book page 211, you incorrectly state only Nesmith played his own instrument—-not true, as they even performed as a self-contained unit in concert in 1967. None of the other bands that you admire in retrospect can lay claim to the fact they were selling second to only the Beatles and are still a part of popular culture. Fifty years after they formed, The Monkees now have a new best-selling album “Good Times!” high on the charts, and most critics agree it has some damn fine music on it. Overall, I liked your book, and enough of it was true that I don’t feel the need to write my own..but The Monkees were not a “hoax” as you claim, and they had a greater sociological impact than you think, however bogus their origin might have been. PS Michael Nesmith is more than an “adequate purveyor of countrified twang”—-in many critics view, along with Gram Parsons and a few others, he helped create country-rock….and introduced country-rock to millions of people….admittedly, most of them were adolescents. ..but still!!!! Thanks for the feedback, Ron. Joe is quite a character and a very knowledgeable writer, but he also likes stirring things up. Those of us who know him could roll our eyes at some of the things in “Sonic Cool” because it was just like listening to him pontificate over a few beers at a party, where he hasn’t the time or inclination to filter his opinions (or fact check! ).He will be happy to hear your feedback and will probably write me a 5,000 word email about it. Thanks again for checking into the site (all the other posts here are by me).